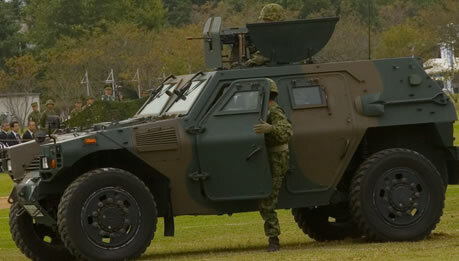 The Japanese Komatsu LAV should not be confused as a member of the LAV family developed by GDLS Canada, it was infact developed in the 90’s by Japanese firm Komatsu who have manufactured over 1600 for the Japan Ground Self-Defense Force. The vehicle has not been exported due to self-imposed restrictions on foreign military equipment sales. Primary Armament Can mount the Sumitomo M249 LMG or Sumitomo M2HB 12.7mm machine gun. Can also mount the Type 01 LMAT or a Kawasaki Type 87 anti-tank missile.